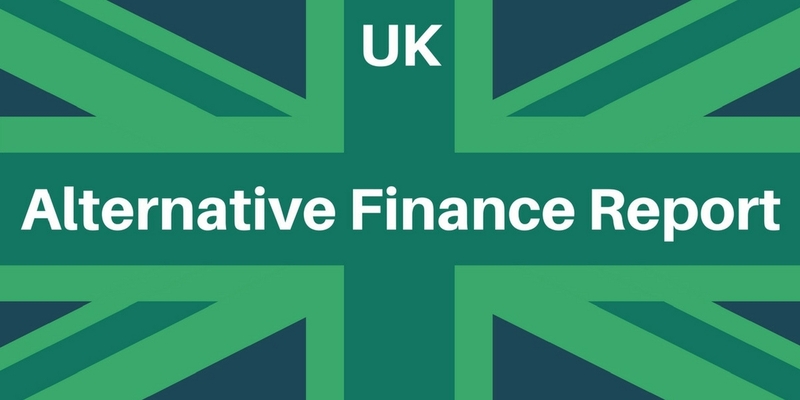 The fourth alternative finance report by Cambridge Centre for Alternative Finance was released at the very end of 2017, revealing that the UK online market for alternative finance increased by 43% to £4.6 billion in 2016. Peer-to-peer business lending grew by 36% to become the largest segment, reaching £1.23 billion in 2016. Peer-to-peer consumer lending, peer-to-peer property lending and invoice trading all increased while equity-based crowdfunding increased +11% in 2016 to an amount of £272 million. In fact, there was growth among most alternative finance segments, including donation-based crowdfunding, community shares and debt-based securities. There was an increase of 50% for start-up and SME business funding in 2016 (£2.2 to 3.3 billion). An estimated 33,000 companies (2.5% of all UK employers) used alternative financing channels to fund themselves. Data from the British Banking Association indicates that peer-to-peer business lending platforms now facilitate roughly 7% of all new SME loans. Equity based crowdfunding in 2016 is responsible for 17% of UK seed/venture stage equity investing. Alternative finance is becoming increasingly important for businesses seeking funding. There was further UK market consolidation, the top two-thirds of market volume being taken up by the five largest alternative finance firms. There are fewer new entrants than in 2014 when alternative finance was relatively fresh. Some platforms merged, paused or ceased operations. The platforms that remain have largely maintained or increased their rate of growth by continual innovation of the business mode and financial products being sold. Roughly 60% have altered their business models, and two-thirds have either changed or introduced new products. The profiles of retail funders have been consistent from 2014 to 2016, including age, gender, education, location, income etc. Institutional funders grew however, responsible for a third of peer-to-peer property lending and a quarter of equity-based crowdfunding. Institutional investors originate from pension funds, broker-dealers, asset managers and banks.